Sakai Community DocumentationSakai 12 Administrator Guide (English) Job SchedulerHow do I delete a job? 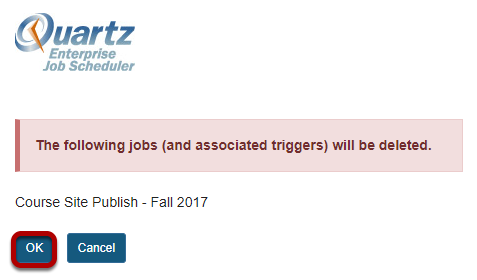 Select the job you want to remove and click Delete. Zoom: Select the job you want to remove and click Delete. Prev: How do I create cron expressions? 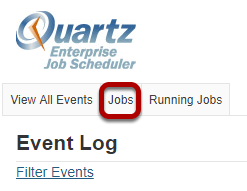 Next: How do I view running jobs?